The first teaser trailer for the "Fantastic 4" reboot has been released by 20th Century Fox, which gives us our first glimpse of the controversial cast of Reed Richards (Miles Teller), Sue Storm (Kate Mara), Ben Grimm (Jamie Bell) and Johnny Storm (Michael B. Jordan). We get see what is obviously the groups origin story and it appears that they are part of an experiment that ultimately gives them their powers. We get a hint at Reed's stretching ability and the Human Torch flaming on. However, we only are only able to make out the The Thing's silhouette and no sign (pun intended) of Sue's invisibility power. Besides the trailer, 20th Century fox has also released the first "Fantastic 4" poster. Although simplistic, the new logo should standout to comic enthusiasts. You can see the poster above and be sure to check out the trailer below. 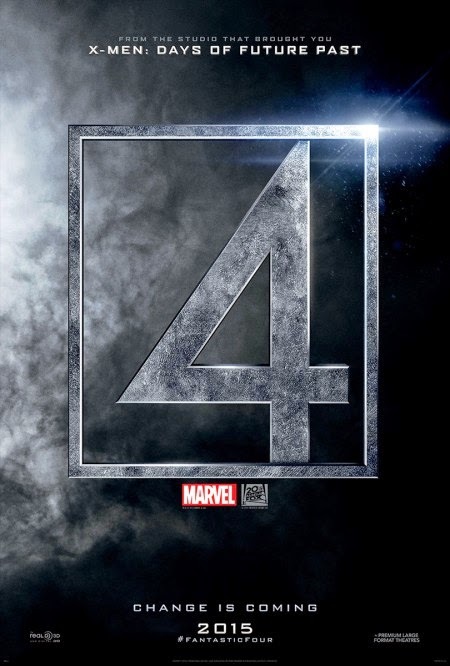 Fantastic 4 opens in theaters August 7, 2015.